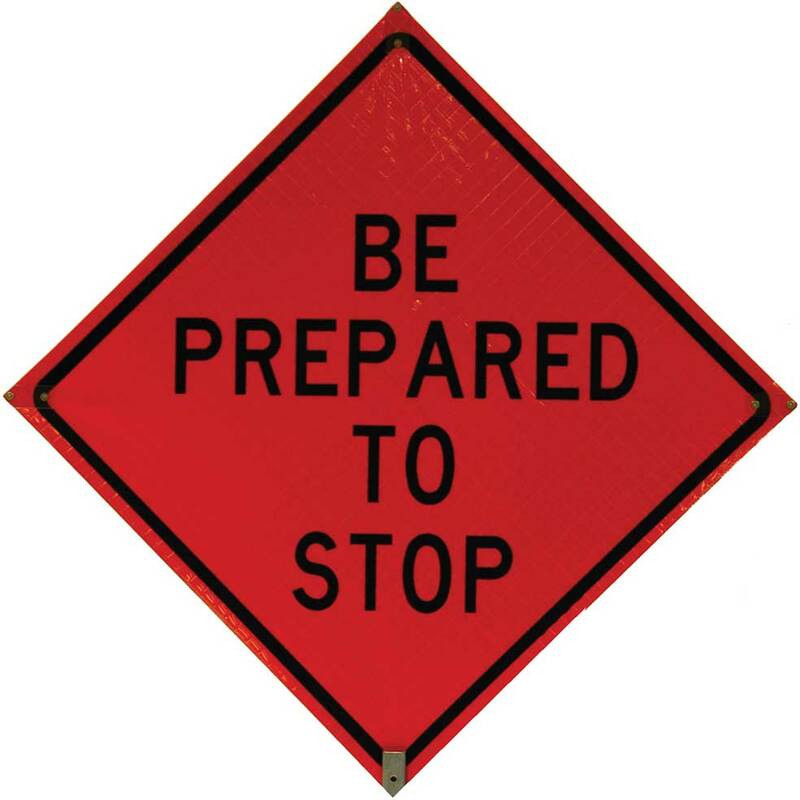 3M Diamond Grade Roll-Up Sign Sheeting Series RS20/RS24 is a visible light-activated fluorescent wide angle prismatic lens reflective sheeting designed for the production of Roll-Up traffic control signs used in construction work zones. This sign sheeting is designed to provide higher nighttime sign brightness than sheetings that use glass bead lenses. RS24 sheeting has higher daytime brightness than ordinary (non- fluorescent) colored sheeting. Series RS20/RS24 sheeting is backed with a strong, flexible, gray-coated fabric. 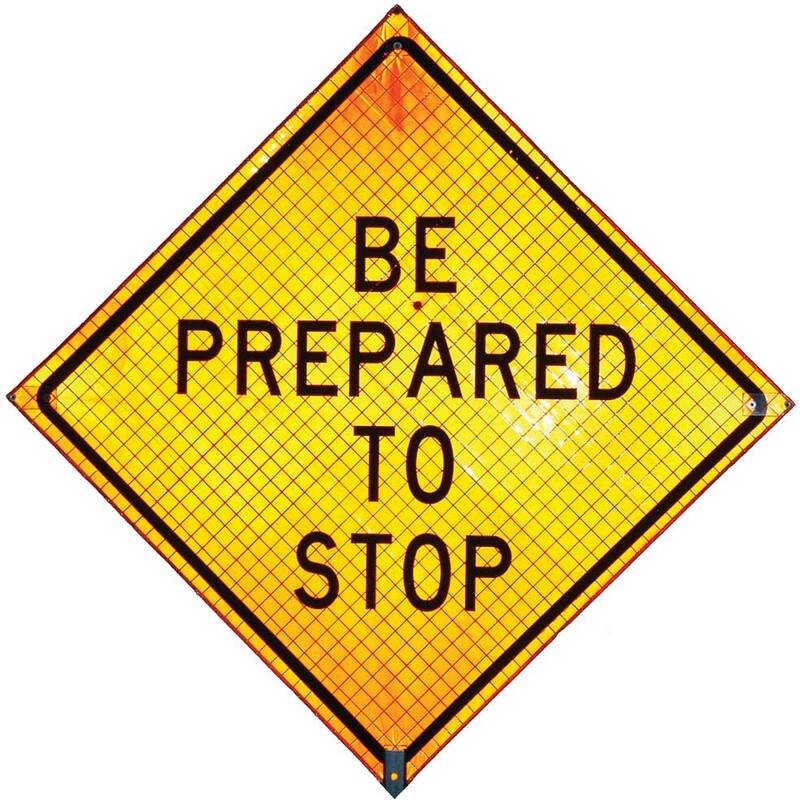 3M Roll-Up Hi-Intensity Sign Sheeting Series RS30 consists of retroreflective microprisms formed on a flexible glossy and UV- stabilized polymeric lm, designed for the production of roll up traffic control signs used in work zones and emergency traffic control. This sign sheeting is designed to provide higher nighttime sign brightness. Series RS30 sheeting has a protective film on the facing side and is backed with a heavy duty vinyl coated fabric. Non-Reflective Fluorescent Orange Roll-Up Signs are constructed of a fabric reinforced UV stable vinyl. This construction will not delaminate and provides excellent durability and fluorescence stability. Non-Reflective Fluorescent Orange Roll-Up Signs are suitable for maintenance and moving operations. They are intended for daytime use only. They are not intended for use during night operations or low light conditions. Reflexite’s Roll-Up sign blanks which utilize Marathon Fluorescence take performance to a higher level. The longer lasting fluorescent color gives the sign a longer useful life and offers outstanding visibility, day and night. Higher levels of photometric performance ensure superior reflectivity at night and in low light conditions. Reflexite high Performance Marathon Fluorescence signs are available in the following colors: fluorescent orange, fluorescent yellow-green (lime), non-fluorescent white, and the new fluorescent yellow. This is one of Reflexite’s most popular products. Super Bright fluorescent prismatic sign blanks are used by our customers to create the work zone signs you see on the road. As a motorist, you benefit from maximum visibility at long distances, day and night. Reflexite’s color stability technology ensures a long and useful life. Super Bright colors are: fluorescent orange, non-fluorescent white, yellow and the new fluorescent pink color recommended for Incident Management applications. Bone Safety Signs’ true fluorescent orange mesh is flexible, breathable, and mildew resistant. Great strength and durability, along with high color visibility, make this fabric ideal in safety applications. Available in white and fluorescent orange.